Expressions of Interest for the 2017 Manningham Excellence in Business Awards have recently closed and the field of entrants is looking awesome. We are very excited for the next stage in the selection process, that of the mentors visiting with businesses to find out more about you and to help you with your entries. This mentor phase of the application is eye opening to say the least. We have spoken to many previous entrants and they have told us that when they have the mentor helping them they discover more about their business, about the WHY they are in business and how much their staff members love the business as much as they do. But what is it like being a mentor? How is it for these well-respected members of our business community when they walk into a nominated business? 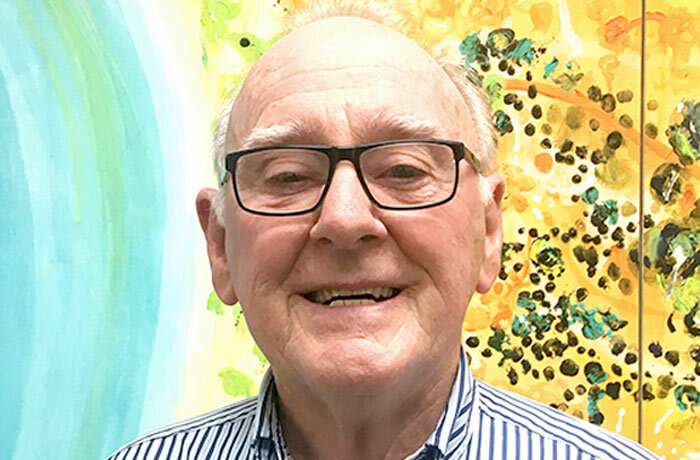 We spoke with John Kumnick from the Rotary Club of Manningham, who was a mentor in 2016 and gladly put his hand up to mentor again this year. John is a business consultant. He started his consulting career General Motors Holden (GMH) with a 6 month contract to ‘get some dirt under my fingernails’, as John puts it. After the 6 months GMH asked him- how can we continue to use you? John set up JKS Consulting and has been working with GMH for over 20 years, plus working successfully with other businesses too. John helps businesses develop strategic plans and helps with the HR side of things. He facilitates conferences, mentors and coaches staff at all levels to improve themselves and the business as a while. So how did John get involved with the MBEA? I have been in Rotary for the best part of 30 years, on and off. My father was a Rotarian, my Father in Law was a Rotarian too. When I was living in the USA my host family were Rotarians as well. The Business Excellence Awards was initially created through the Rotary Clubs of Manningham and the Bendigo Bank. The people who initiated this program knew of my professional background and asked me to hop on board as a mentor. Their entries read like an advertising brochure. They used the language of the business, not my language of a normal person. They didn’t say what they REALLY did. They didn’t say what their unique selling point was, why they were special as a business. So with my prodding and cajoling I helped them take a fresh look at their organisation. Instead of talking through a brochure they now talk through human beings, sending a POWERFUL message. Address the stated criteria. Have you addressed the criteria which has been spelled out by the BEA? If not let’s cast your thoughts upon those criteria. Are you hoping for something new this year? Between last year and this year I know that the businesses will have changed. They will have a different perspective on who what and when they are at their best. As a finalist returning all the organisations can do is refine their approach and continue to do what they’re doing successfully. I know they get insight from a mentor, so I am expecting some more excited organisations this year. I would like to see more organisations take the opportunity to present themselves through the MBEA, to get the benefit of insight from other people in how to do business. And to get the benefit of free/cheap consulting of course. Good luck to those who have shown interest in this year’s awards. Soon you will have a mentor at your side crafting the entry, helping you discover the story of your business. If you’re lucky enough to get John as your mentor then you know you’re in good hands.